In a town that’s the poster child for craft beer and independent brewers, it’s always party time—somewhere. 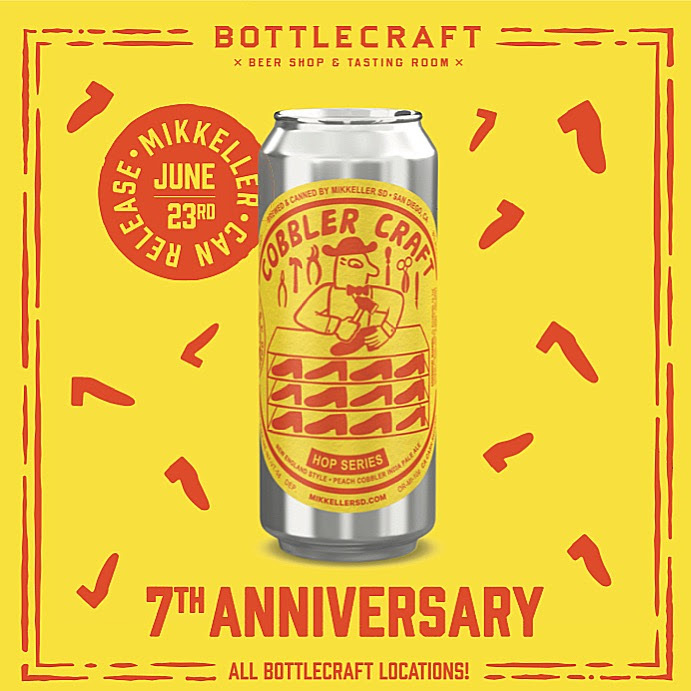 This week (aka tomorrow) head over to San Diego’s Liberty Station’s Mess Hall eaterie, June 30th at 11 a.m. for the much anticipated Bottlecraft Can Release of their Collaboration PiePA with Mikkeller Brewing Co. called "Cobbler Craft". Cobbler Craft is a Peach Cobbler Inspired N.E. Style Imperial IPA brewed with Citra, Mosaic, Peach Puree, and Cinnamon Sticks, at an 8% ABV. 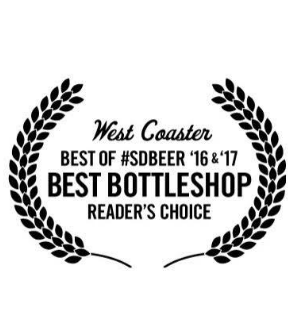 If you didn't know - Bottlecraft Brewing is a bottle shop and bar that curates the best local, domestic and international craft beers. Like, ever. Starting in 2010 in Little Italy, its now spread to over 6 different locations throughout San Diego. 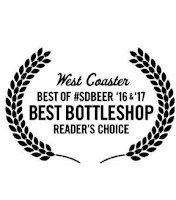 Bottlecraft is unique in that it's not just a place to go buy beer. It's a place to try beer. If there's anything you need to know about any beer from country or region, ask any of the knowledgable beer-tenders that Bottlecraft employs. They know what they're talking about.